The heel is made up of a main bone, the calcaneus, which is supported by connective tissue that connects the heel to the bottom of the foot. Pain in the heel is associated with these layers of tissue wearing down, known as plantar fasciitis. This causes calcification, or abnormal calcium buildup, on the heel bone. Over time, this build-up can form hook-like protrusions, or spurs. 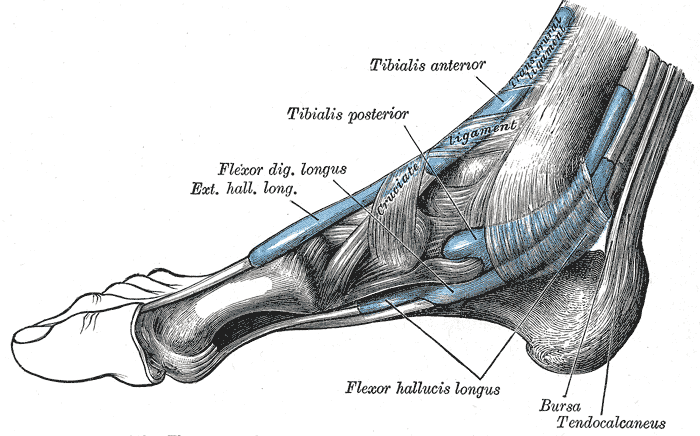 Spurs tend to develop on either the base of the heel, or at the back of the bone, parallel to the shin. In the latter cases, the spurs can actually be seen through the skin. It is not clear whether heel spurs cause fasciitis or if spurs are in fact a symptom of this condition. Both plantar fasciitis and heel spurs can cause chronic pain, especially in the base and sides of the heel affected. Heel spurs can affect function and movement, as they can discourage standing on an affected foot, and can require surgery in severe cases. Heel spurs are usually the result of mechanical wear and degeneration of the fascia, a condition known as plantar fasciitis. This results from simply standing up for too long, wearing ill-fitting shoes, and a lack of arch support. In some cases, it can also be caused by inflammation of the tissues around the heel. Excess inflammation is associated with diseases such as arthritis. For example, heel spurs are often seen in a condition called ankylosing spondylitis, which is a type of arthritis that affects the entire skeleton and can even fuse vertebrae together. Heel spurs can also be associated with excessive activity, such as training for or playing sports, and with increased body mass index (BMI). This is disputed by some researchers, however. It is viewed by some as a repetitive stress injury. Heel spur pain can feel sharp and piercing, as if the heel is trying to break through the skin of the foot. Needless to say, this can make walking and normal daily life difficult. The main nerves in the lower back (sacral nerves) are responsible for sending pain signals from the heel to the brain. Therefore, to control chronic pain resulting from heel spurs, these nerves can be targeted directly. Spinal nerve blocks involve the identification of the parts of the nerve involved in transmitting pain signals from an affected heel, using imaging techniques such as magnetic resonance imaging. A catheter or IV needle is then inserted into the spinal space next to the nerve and pain-blocking drugs are administered. The medications injected are anesthetics, such as lidocaine, and steroids to treat the inflammation affecting the nerve. Nerve blocks entail some risks; mostly adverse effects caused by the drugs in the blocking formulation. The side-effects of anesthetic injections include numbness, discomfort, and possible nerve damage causing loss of sensation in the injected area. Complications can also occur if the wrong area of the spine is injected or if a blood vessel is injected by mistake. Possible side-effects of the steroids are weight gain, an increased risk of arthritis, immune system deficiencies, and stomach ulcers. Nerve blocks in the lower back can often cause a headache after the procedure, but this is temporary. Another method of long-term pain relief is radiofrequency ablation (RFA) of the nerves. In this procedure, radiofrequency impulses are applied to the nerve through anesthetized skin, to selectively destroy the parts of it that are responsible for the pain signals. Pain relief after RFA procedures can last for several months. 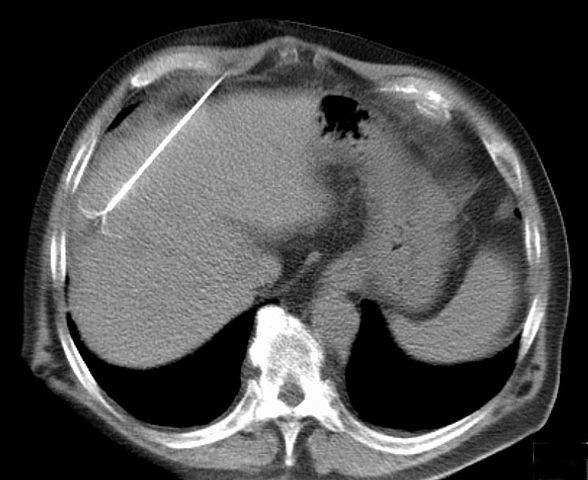 Risks of RFA include bleeding and infection at the RFA probe insertion site. There is also a low incidence of inadvertent permanent nerve damage, which can cause motor difficulties. Heel spurs are calcifications of the heel bone (or calcaneus). This is associated with, but may not be caused by, plantar fasciitis in which the protective tissues around the bone wear down. Most heel spurs are caused by simple mechanical stresses, but in some cases it is caused by diseases associated with inflammation, such as arthritis. Treatments for painful heel spurs can take the form of injections of steroids and anesthetics or radiofrequency ablation. These can give medium-to-long term relief from the pain associated with heel spurs. At Nevada Pain our goal is to relieve your heel spur pain and improve function to increase your quality of life.